San Francisco: Auerhahn Press 1960, bound in wraps and one of 1,000 copies. Maynard & Miles A4a. 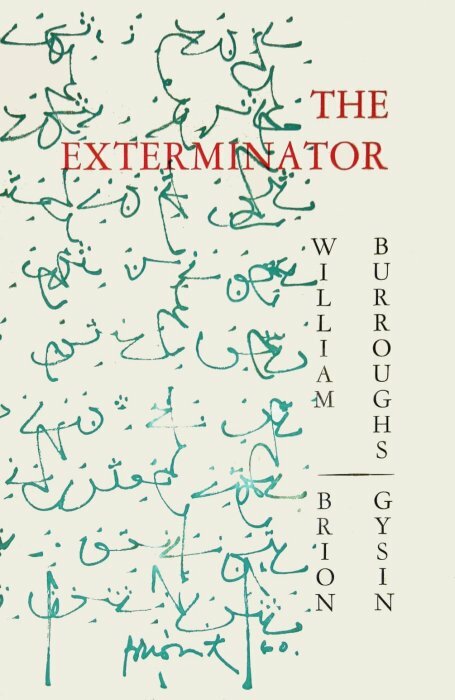 A collaboration with Brion Gysin, not to be confused with Burroughs’ work Exterminator! published by Viking Press in 1973. Cover design by Gysin. A short piece with but 47 pages. San Francisco: Dave Haselwood Books 1967, first edition thus, Haselwood’s reprint of the Auerhahn original, in pictorial wraps different from above and one of 1,000 copies. Maynard & Miles A4b.